Congratulations to "Marcie R.", the winner in Julie's giveaway. Please contact JUST ROMANTIC SUSPENSE to claim your prize! I’m all about weddings in 2019 as my son is getting married later this year! I hope there is nothing but smooth sailing for my son and future daughter-in-law. So far, they have the ceremony loosely planned out, a reception venue booked, an idea on colors, and the dress! (I was honored that my future d-i-l invited me to go wedding dress shopping with her and her mom.) We have a spot for the rehearsal dinner and a DJ booked to play music and keep the celebration going at the reception. There are many details still ahead of them, but it will all get done, I’m sure. But often, with weddings, things don’t go according to plan. I’ve seen a groom run 2 hours late (nervous bride, anyone?). I’ve seen an attendant faint. I’ve heard a toddler flower girl yell out her need to pee and an elderly man snoring through the ceremony. At my own reception, as we were driving away and all the guests were waving to us, my hubby pulled the wrong handle in my car. Instead of releasing the parking brake, the hood flew up. So much for a dramatic exit. My dad had the best belly laugh. I didn’t think he’d ever stop laughing as he grabbed an umbrella (it was raining that day) and came down to close the hood so we didn’t have to get out in our wedding finery. In my brand-new release, DO-OR-DIE BRIDESMAID, former childhood friends Conor Wildman and bridesmaid Laura Karr discover a dead body on the day of her sister’s wedding. That wasn’t on the wedding planner’s check-list! A spunky heroine determined to solve her friend’s murder, a cross-country chase when the bad guys find out she has evidence that can put them in prison, and a hero determined to protect the woman he’s falling in love with make for exciting wedding memories! How about you? Any funny wedding mishaps? 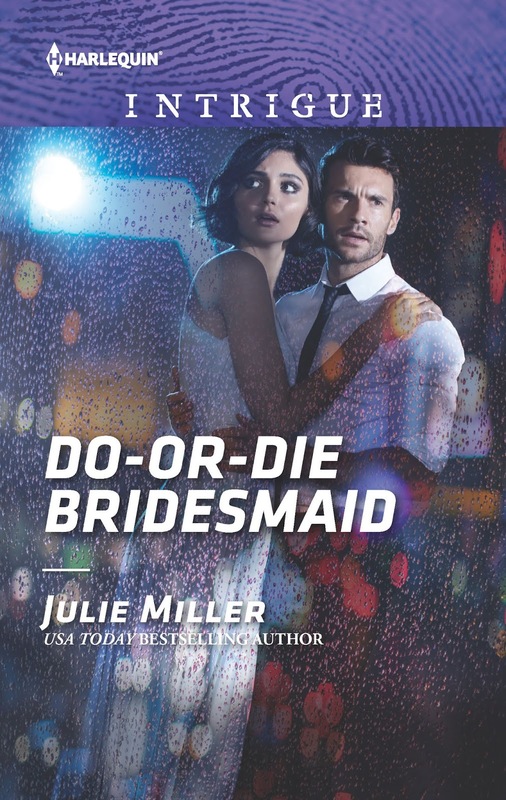 I will give away a print or digital copy of DO-OR-DIEBRIDESMAID (or something from my backlist if you prefer) to one lucky winner from the commenters who post a comment or question below. never a killer’s target…until now. Back in his hometown for a wedding, Detective Conor Wildman reunites with his ex-girlfriend’s sister, Laura Karr, once the tomboy next door. Now Laura is a beautiful woman…and someone wants her dead. Conor is the man to protect her and catch the killer, but will one heated kiss jeopardize their precious friendship? Or will it prove that he can trust her with his wounded heart? Giveaway ends 11:59pm EST January 15th. Due to GDPR regulations you no longer need to submit your email address in the comments. If you have been selected as a winner your name will be posted at the top of the post. You may then contact maureen@justromanticsuspense.com to claim your prize. Your email address will be shared with the author/publicist providing the giveaway. Hi, Julie! 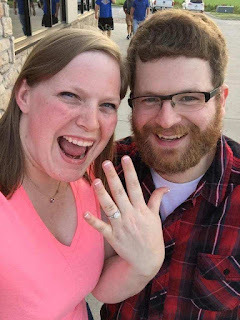 Congrats to your son and future daughter-in-law. I hope everything goes smoothly. Congrats on your new release, also, it sounds great. Looking forward to reading it. As in weddings for me - I had a few amusing things occur on my happy day. First, the wedding started late because the groom and best man were nowhere to be found (he and his brother actually got a ticket speeding to the church, while I panicked I was getting stood up), then I had a really long train on my dress and it got stuck on the entry door while I was walking down the isle and we had to stop in the isle and get help to untangle it (it had a pretty good rip in it, but it was salvageable). The flower girl, who also really loved twirling her flower basket, hit herself in the head with it and knocked herself over (that was a good giggle for all), then last but not least, I found these really awesome shoes to go with my dress but they were a size too big but everyone told me to just stick tissue in the toes and they would be fine for a quick walk down the isle. Well, the platform was actually up several steps so when I got to them and started up, I lost a shoe so I was really off balance and my husband-to-be had to use his quick reflexes and grab me before I took a tumble. It was definitely an exciting day for all and memorable and we had giggles for a long time. Thank you, Denise! We're excited about the wedding and so happy for them. Sounds like your wedding had some adventures. ;) Sounds romantic for your future hubby to have to catch you to save you from falling. Hey Julie! As you know Jenny and I go way back to when we were in school. She was my junior bridesmaid in my first wedding. When we were getting ready I was using a curling iron on Jenny's hair. I accidentally hit her ear with the hot wand!!! Yes, Yikes! I'm sure it hurt. Jenny wouldn't let me soon forget it. She, of course, was okay but with Jenny's sense of humor she's always reminded me of it! 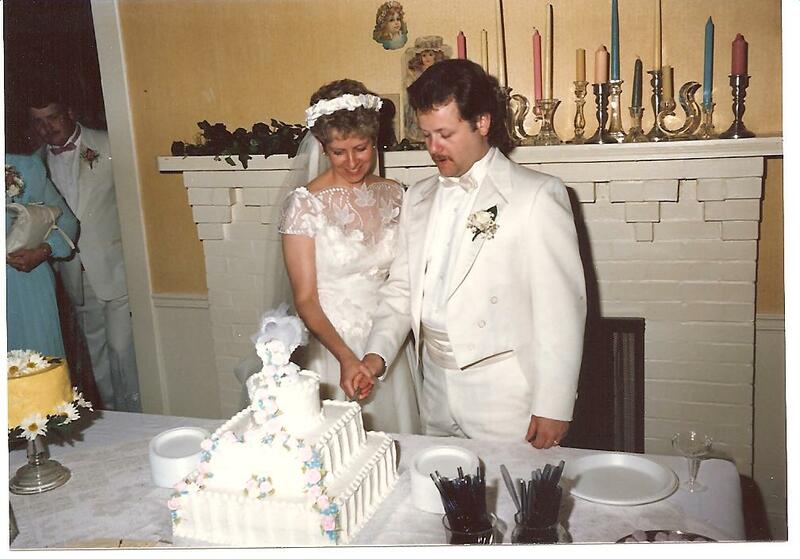 The best part was when Doug an I got married before a town judge. We were so excited to finally get married to each other that she cried! After our I do's Doug went to her an thanked her for performing our vows. I raised my arm's and yelled , YES!" and my photographer got the picture of me. Sounds like you had a great wedding, Pam! (minus the ear-burning incident ;)) I love that the judge cried. Not as stoic as she wanted to be. Jenny has two funnies that happened to her. She brought a poloroid camera to her brother in law's wedding. The camera fell and the film came out onto the floor. She didn't have a back up camera to use so all the pictures were gone! The other funny was when she married George and her aunt and brother in law said they dropped the cake on the ground. She was livid! It was a joke, of course. No mishaps come to mind. Wedding dress shopping is fun. I really enjoyed it. Since I have no daughters, I wasn't sure I'd ever get to have the experience again. My future daughter-in-law lit up when she put on "the" dress. I could tell it was the one. I haven't seen the bride or groom faint. Just a groomsman and attendant. We had an outside wedding - maybe not a good idea since it was during the summer in Southern California. What a hot day! We had all of our pretty chairs set out in rows, and when I came out for the walk down the aisle, I discovered that my grandmother had moved all of the chairs under the trees to get some shade. I can't really say that I blame her. Best wishes for your son's wedding. Bless her heart. Outside weddings are beautiful, but the weather makes them tricky. I love this. Last year the groom fainted at one and at another, it was so hot, the layers of cake began sliding and the whole thing ended up looking like a stack of dominos on it's side. We still ate it. At another, the flower girl refused to go down the aisle. My favorite was in the 1970's and a friend from school had some friends sing and play their guitars, in the church before the ceremony. When they played and sang the house of the rising sun, the great aunt stood and fainted. It was great and my mom, a Sunday School Teacher, looked at me and grinned. On the way home she asked if that was public atonement for sins or a Freudian slip. Congratulations on the upcoming wedding of your son. It is such an exciting time. My mother died at 47, a month before I got engaged. I was handling the wedding on my own making the attendants gowns and was planning on making my wedding gown. I was in Florida with my future Mother-in-law and she and a friend insisted we go dress shopping so I could see what style looked best. It turned into an enjoyable excursion. She had no daughters and her friend had no children, so it was a treat for us all. As happens with most brides, there was a dress that I tried on that was THE DRESS. We bought it. The week of my wedding the weather was terrible. It was going to be an outdoor wedding - the first in the area (I am old). I had forgotten about the time of year (our wedding was rescheduled due to a deployment extension in Vietnam). Those who live in the Northeast especially know about black flies and can relate. Mosquitoes are mild compared to them. When they bite, they take out a nice circle of flesh. They are horrible. Favorite habitat - tall damp grass and the woods. Our wedding was in a field at an outdoor shrine next to the woods. It poured for 3 days prior to the wedding. We were concerned we would have to move into the church, but the wedding day dawned bright and sunny. Thankfully there was a breeze that kept most of the flies away. I do have some still trapped in the net layers of my dress. That night it started pouring again and rained for another 3 days. Everyone decided my Mom was looking out for us and arranged the day of good weather for us. The shrine had been one of her favorite places. I hate to think how bad it would have been without the breeze. We picnicked that week. In the short time it took to get a piece of chicken from the bucket to our mouths it would be black, completely covered with the black flies. I read your Taylor Clan series and The Beast In The Tower and was hooked. Intrigues are a favorite line for me and I keep a shelf of them to grab and read when I have a short time to read, but not enough to get involved with a longer book. Do-or-Die Bridesmaid sounds like it will be another good story. Patricia B. Thank you for reading my books! Sounds like you've been a fan from the very beginning. I love that. Thank you, Patricia! Hmm...I don't really have any mishaps to share. Probably because I've only been to a couple weddings and, from my view, everything went according to plan. That's how it should be, Marcie. Thanks for stopping by! well on my sisters wedding, the ceremony got delayed 30 mins? I think bc my aunt was in charge of driving our grandma. The reason bc she thought they had to be there at 6pm, not that the wedding started at 6. Oops! Sounds like a miscommunication. I remember my grandmother fell the morning of my wedding. But it was like the sweetest roll in the grass, like a wide receiver in football. Fortunately, she wasn't seriously hurt, and got through the day just fine. Scared us good, though, when we saw her go down. If she hadn't been in the yard, or had landed on the sidewalk, it might be a different story. I just wanted to tell you how much I enjoy your books. I know that when I pick up one of your books that I will enjoy it. I ordered 'Do-or-Die Bridesmaid today and look forward to reading it. My son and daughter-in-law were married last summer. They had an outside wedding and everything went smoothly. Congratulations on your son and future daughter-in-law's wedding. Thank you so much for buying my book! I hope you enjoy it. Thanks, too, about the wedding. We're really happy for our son. Congratulations on your son's wedding, too! Looking forward to Do-or-Die Bridesmaid. Will pop into the store to see if they have it. Congratulations to your family on the upcoming wedding.